Registrations Close Sunday 31 March 2019. Ride Update: The 33rd Year. Catering on route options as of early February. Echuca Route: The Rapid Relief Team have confirmed they will supply catering at the following venues for this year’s ride. Start of Echuca and Swan Hill route – Breakfast. Dinner at Stawell for the Echuca route. Swan Hill Route: Dunmunkle Lodge at Minyip – Dinner – At the Heart of the Wheat Belt – this is the second time for all those on the Swan Hill route. Well worth it! Good Facilities. Menus and order forms for these catering arrangements have been sent out via a separate E-mail. Echuca Route: Stawell – Rapid Relief Team. Menu will be sent out ASAP. Hamilton Compulsory Stop: The Lions Club of Hamilton will provide a BBQ breakfast only at the Hamilton Show Grounds this year before the ride commences from Hamilton to Port Fairy. (No dinner being provided this year). Hamilton to Port Fairy via Macarthur: The Lions Club of Macarthur will provide county cooking - homemade items and hot drinks. This proved very popular again last year and the Lions will be setting up in the Lions Park, Main Street. Please be aware a non - licenced provider has been selling items in Macarthur, and it is not advisable to purchase items from this person. Health authorities have been notified! Hamilton to Port Fairy via Hawkesdale: The Hawkesdale Critical Emergency Response Team will be offering a range of cakes and yummy homemade items along with Tea and Coffee for that heart starter on Sunday morning. Team Captains: Please ensure your members are registering. Echuca Route: Bridge works continue – Warren Street, Echuca. Murray to Moyne will be re-routed – so please follow Corner Marshalls and pay particular attention at the pre-ride briefing. Mildura Route: Friday Night 5 April or Sat 6 April - Fishers IGA, 15th Avenue, Irymple (5km South of the river). Swan Hill Route: Friday Night 5 April - Riverside Park, 1 Monash Drive, Swan Hill or Sat 6 April at Showgrounds, Swan Hill. Echuca Route: Friday Night 5 April - Paddlewheel Motel, 385 High Street (New Venue 2019), Echuca or Sat 6 April – Victoria Park Boat Ramp. Hamilton to Port Fairy - Sunday Striders Ride: Saturday Night 6 April or Sunday 7 April – Hamilton Showgrounds before 7:00 am. Check in at the M2M Officials Caravan. Compulsory Drivers Safety Briefing: All support vehicle drivers are required to attend the Saturday Morning briefing at 8:30 am at the start of each route. This Safety Briefing is most important. Note: New & Improved Reflective Signs in Hamilton directing Teams to the Hamilton Showgrounds. Team Captains will receive their Team Packs at the Check In: Included will be….. Vehicle Numbers, Route Stickers for your team for the final stage from Hamilton to Port Fairy via either Penshurst or Macarthur (Pink or Green). Safety pins for rider numbers. Time of Departure from Hamilton. General Information about the availability of meals on route (see ride update). Vic Roads: Bike law booklet, information on the Port Fairy to Warrnambool Rail Trail. Complimentary Sunbeam Products – Sultanas and nuts and Carman’s Protein Bars. All participants must attend the Teams Briefing on Saturday 6 April at 8:30 am at the official start points for each ride. Here you will meet your Ride Director and representatives of Victoria Police. This final briefing will go over any ride updates as to the road or traffic conditions, weather conditions etc. All the people involved in ensuring the ride is safely conducted will be introduced and their respective roles will be explained. Please ensure your team obeys any safety instructions given at the briefing as it’s in everyone’s interest that you do so. Ride Directors for 2019: Mildura Route: John Clue; Swan Hill Route: Leigh Parker; Echuca Route: Jeff McLean. Motorcycle Marshals: Will be wearing orange reflective vests, they will be moving through the ride to give assistance where necessary and to ensure everyone is following correct ride safety procedures, including riders and support vehicles. Please ensure you follow any directions from Motorcycle Marshals Please respect their role, they are all volunteers – just like you! Medical Vehicles: There will be a Medical Vehicle on each route and their role is to provide assistance to any accident or incident as well as control vehicles in the area. We hope they will not be needed. Each team should carry your own First Aid Kit for minor problems. Echuca Route: Compulsory Stop at Stawell. This stop will allow you time for teams to re-group and Dinner. Rapid Relief Team will be providing meals for a gold coin donation. All Routes: Compulsory Stop at Hamilton. The first in your team (Rider or team Official) to arrive in Hamilton Must Check In at the Hamilton Show Grounds with the Murray to Moyne Officials. We need to know your Team has arrived. This is most important. Last year we had to phone 2 teams who had not checked in – we rang about 2:00 am. Departure from Hamilton: Team Captains: MUST ensure your team leaves Hamilton on Sunday morning at the correct time. The 2 routes from Hamilton to Port Fairy are designed to get all riders into Port Fairy by 11:00 am – even the slowest! Many teams have a stop along the way either at Hawkesdale or Macarthur. Please ensure you only stop for a short time – the Rear Vehicle must keep moving to keep the ride on schedule and within the Vic Police regulations. Small groups of 10 riders will leave at 1 minute intervals commencing at 7:00 am. Each team MUST follow your designated route to Port Fairy. This is to ensure groups are spaced out and the flow of local traffic is not impeded. Failure to comply could result in your team being omitted from the event. Extreme care needs to be taken on both routes because of the congestion and narrow roads. Following vehicles need to keep well over to the left (this should involve the left wheel of the vehicle straddling the gravel or the edge of the road where practical). Cyclists should remain as far left as possible, ride in single file on double line sections, on crests and on twisty sections of the road or when passing other groups. Everyone (Riders / Drivers) need to show courtesy to oncoming vehicles and overtaking vehicles. Watch OUT: There are GoPro cameras on the road (on bikes and in vehicles). There will also be a Police presence in either a patrol vehicle and / or Police motorcycle officer allocated to both routes. The Police are there to improve safety of the participants and to enforce the road rules where necessary. Be Warned! Most complaints by the public are from this section of the ride. Team Organisation and Punctuality is very important for the Final Stage from Hamilton to Port Fairy. 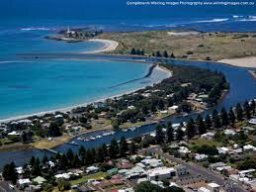 Arrival in Port Fairy (Moyne River): On arrival in Port Fairy you will be directed by Marshals across the very busy Princes Highway (extreme care required) and then through to the finish reception area (Railway Place) in the centre of town. Leading cyclists may be controlled to ensure a steady flow of riders come into the finish together. Most teams wait for all members to arrive so they come across the line as one group – quite a spectacle. Therefore, there is no reason to race to Port Fairy – most teams ride as a group at a steady pace from Hamilton – enjoying the scenery, farmland and views of the coast as you come closer to the Moyne River. This year at the conclusion of the Murray to Moyne Cycle Relay arrangements will be slightly different. Matt Monk – Radio Personality from 3YB / Coast FM will be the MC for the M2M Finish. Matt will ask Team Captains to talk briefly about their ride, the charity you are riding for, etc. Please be prepared with some funny anecdotes, events etc. Plus entertainment will be provided and participants will receive their medallions. The Graham Woodrup Memorial Award will be made on the stage to recognise someone who has made an exceptional effort and inspiration to others in the course of his/her team's involvement with the Murray to Moyne, In Memory of Woody. Showersare available anytime in Port Fairy at the Belfast Aquatics Centre – Campbell Street. (Gold Coin Donation). Special Reminders: Make sure you have your reflective vest for night-time riding and sufficient batteries for your front and rear lights. McColl’s Transport is Australia’s largest independent bulk liquid carrier of milk, food and bulk chemicals, with the country’s most modern and specialised food grade and chemical tanker trucks spread over 14 depotsand employ over 450 people. One of McColl’s Transport’s long-term Geelong based employees, Rod Smith recently passed away on 26 January 2019and will be long remembered for his humour and attitude to life. As a dedication, a team of riders and support crew from Altona, Geelong and Tongala will represent McColl’s to ride the Murray to Moyne 520km relay bicycle event from Echuca to Port Fairy. To remember and honour Rod, we are raising money for Barwon Health Foundation (Cardiac/Heart Research Unit) with the support and encouragement of Rod’s family for this fundraising effort. McColl’s are dedicated to driving health awareness, providing support and opportunity while promoting a positive lifestyle for the transport industry. This cycle relay has been organised by: Peter Goy, President; Peter Bollard, Vice President; Kate Winnen, Secretary; Bernie Waixel, Treasurer; Sophie O’Keefe (Moyne Health Services Representative), Jeff McLean, John Clue, Charlie Blackwood, Jenny McLean, Barry Moran, Bruce Brown, John Ralph, Ailsa Paltridge, Cynthia McLaren, Denise Wilkie, Helen Tredinick, and IT Support: James Ng. Special Thankyou to Lou Hollis (M2M Administrator) for all your hard work, organisation and cheerful attitude in making it all happen. Thanks Lou from everyone!! Normal Registrations: Close midnight Sunday 31 March 2019. Reminders to Team Captains, Riders and Drivers. The M2M provides riders of all abilities with the physical challenge to cover the full distance in not much more than 24 hours as a team in relay. It is NOT a Race! The Ride Director on each leg will have ultimate control of decisions to be made once the ride is in progress. He or she will have radio contact with Motorcycle Marshals, Lead and Rear Vehicles, Medical Vehicles and can contact the Police if necessary. Riders looking for more of a challenge can increase the distance of their relay sections or try riding a double shift. In the interests of safety and a directive from the Police, teams found racing will be stopped. No full distance riders are permitted. For safety, we want the distance from the front of the ride to the back to be no more than 60 kms, so if too many riders sit on the Lead Vehicle it may need to stop to allow the Rear Vehicle to catch up and keep the ride within the 60 km range. This occurred on each route last year, so riders need to keep this in mind. It is NOT a race! In order to keep the relay moving down the road at a reasonable pace, teams need to keep some riders on the road at all times – ie, during the dinner break, the whole team should not stop. Please stagger those having a meal with those who keep riding. In this way you keep your team moving and this helps keep the ride within the 60 distance range. Teams should not waste time on changeovers. You should be aiming to have your fresh riders ready to go as soon as your team comes along. They need to be ready and organised! Teams should not have too many riders on the road at the one time, to ensure riders get enough rest before they do their next stint. You need riders to pace with, but you can join into a bunch with other teams of similar ability, so, 2 to 3 riders at a time means that your team does not have to changeover as often, thereby conserving energy. Riding 1 hour on and 3 hours off would mean each rider would cover approximately 130kms out of the full 520km ride. If there are stronger riders in the team, they may elect to do longer relays, giving weaker riders a longer rest. No set distance is laid down for relaying, and change overs may be altered to suit the location of towns, wayside stops and riders' ability, but 20 to 30 kilometres is generally a comfortable distance for each riding stint. Medical unitswill be strategically placed throughout the ride, but it is advised for all teams to carry their own First Aid equipment. Riders who will be riding at dusk should be carrying lights and be able to turn these on once the official lighting up time occurs. Lights MUST be located on the bike and not on a helmet or person (as per Victorian road law). Riders and team support should have the correct Fluro vest for night riding. That is - the vest has some reflective element to shine at night! Motor Cycle Marshalls are strategically placed along the M2M route. They are there to assist riders and teams with any emergencies and to ensure you are all following correct safety procedures and heading in the correct direction. Please follow the Motorcycle Marshall’s directions as they have your safety as their prime responsibility. Most charity bike rides do not have Motorcycle Marshalls and they are there for the safe running of the event and to ensure we comply with all VicRoads and VicPol requirements. Remember – the Marshalls are there to assist you and your team, they are all volunteers and use their own bikes, so please respect them in their role. Team Drivers – Please ensure you stop in a safe place and not just anywhere along the side of the road. (Many teams stop exactly where the kilometre mark comes up). This is not necessarily the safest place to get off the road. Remember – your team members need space to get their bikes off trailers and get organised, so you need room and you need to be off the road. Safety comes First!! Don't hesitate to ask the M2M Administrator, a competitive cyclist or someone who has done this ride before for help with your training, bike set-up, food, clothing, etc. Graham Woodrup Memorial Award – 2019– Please think about nominating someone special! Each year 'The Graham Woodrup Memorial Award' recognises someone who has displayed 'exceptional effort and inspiration' to others in the course of his/her team's involvement with the Murray to Moyne, In memory of 'Woody'. Any person associated with the Murray to Moyne, as a Rider, Support Crew or Event Volunteer. All potential recipients of the award (nominees) are required to be present at the Final Presentation Ceremony in Port Fairy on Sunday 7 April 2019. Graham Woodrup or ‘Woody’ as he was fondly known, was a visionary. He had a dynamic and enthusiastic personality, inspiring others by example to be generous with their talents by using them to help others. These characteristics epitomise this award for 'exceptional effort and inspiration to others'. A person who has overcome difficult circumstances to participate in or be associated with the M2M. A person who has inspired others by their actions and commitment to the M2M. A person who, through the M2M, has motivated others to get on a bike and have a go! A person who has encouraged others through the M2M to fundraise for a hospital or health related organisation. A person who has contributed significantly to the M2M at a team level. Go to the Website for more details about nominating someone special. Catering en route options as of early February. Echuca Route: Rapid Relief Team have confirmed they will supply catering at the following venues for this year’s ride. Start of Echuca – Breakfast. Dinner at Stawell for the Echuca ride. Swan Hill Route: Rapid Relief Team – Start of Swan Hill – Breakfast. Dunmunkle Lodge at Minyip – Dinner. We will send out menus and order forms for these catering arrangements ASAP. Hamilton Compulsory Stop: At the Show Grounds, the Lions Club will provide breakfast (Egg & Bacon rolls etc) before the ride commences from Hamilton to Port Fairy. Hamilton to Port Fairy Via Macarthur: The Lions Club of Macarthur will provide pancakes, egg and bacon rolls and hot drinks. This proved very popular last year and the Lions will be setting up in the Lions Park, Main Street. Hamilton to Port Fairy Via Hawkesdale: Waiting on information re catering for 2019. Team Captains: Please ensure your members are registering – Once registered, our Newsletters will be sent automaticallyvia e-mail - being informed in a timely manner is vital to any efficient organisation. Who initiated the team and when was the team established? Official Team Name and M2M Team number? Why was the team established – who are you raising funds for? How have the funds raised been used? Do you have any notable experiences from the M2M relay – what do you enjoy most / least about the ride? What fundraising activities have you run and how successful are they! How has your team’s fitness improved as a result of the relay ie how much training does the team do, how often; All year or just in the months before the ride? Have you had any funny / amusing events occur as a result of participating in the relay? Team 3011. C - Collective is a new team set up by Neil Corcoran (Captain). The team is a grassroots youth support service for young people affected by trauma based in Footscray. The team objective is to raise about $25,000 to assist in providing services for the non-profit organisation. So far the Team of 10 riders has raised $11,000. Say hello to Neil and the team on the road. Team 570. The Devondalers are now the Bega Bunch - due to a change of ownership of the Koroit Milk factory. Riding for the Hawkesdale Critical Emergency Response Team. Team 907.Greenwedge is a team of 9 riders and supporters who ride for the Cheshire Primary School. It was set up for children with significant social, emotional and behavioral issues, in Glen Waverley. The school is one of the programs of “Best Chance Child Family Care,” a not-for-profit organisation providing support for children and families since 1895. Say hello to Shaun Grigg and his buddies riding for Greenwedge. Close Sunday 31 March 2019. Final Closing Date for Registrations is Sunday 31 March 2019. Reminder: All Riders, Drivers and Supporters must be registered by the closing date. We have 10 weeks until the ride so if you have not commenced organising your team. Now is the time. Currently we have 40 Teams registered. But many more riders are yet to Register – do it NOW!! The Early Bird Registration Prize was drawn at the December Committee meeting. Well done to all those who had registered before 16 December 2018. Congratulations go to Petra Ross from Team 12 – Warrnambool College. Petra is a new rider this year, having never participated in the M2M before so well done on winning the prize on your first ride. We hope you experience the champagneweather again this year! David Castles (Bus Driver for Team 12) was the winner in 2018 – so it pays to get your team members registered early. Team 12 obviously think so!! Team Captains: Please ensure your members are registering and being informed in a timely manner. This is vital to any efficient organisation! We also welcome 2 new members of the M2M Committee, Barry Moran and Bruce Brown. Both are avid Motorcyclists and Barry is recruiting and co-ordinating the 20+ Motorcycle Marshals for this year’s event. Many will know Bruce as he has been in charge of the Motorcycle Marshals on the Echuca route for a number of years. Team Captains should also ensure all your transport equipment adheres to VicRoads safety requirements. Rapid Relief are again willing to support the riders and supporters with refreshment stops on the Echuca and Swan Hill rides, details in later newsletters. Beulah Primary school have also provided a fantastic dinner stop on the Mildura ride and we expect this to happen again this year. We will send out details ASAP. Hamilton Compulsory Stop: The Hamilton Show Grounds will again be the compulsory stop and all teams MUST register at the showgrounds once you arrive. Refurbished showers and toilet facilities will be available opposite the Show Grounds at the Hamilton Indoor Leisure and Aquatic Centre. Accommodation is available at the Hamilton Sheep Judging Pavilion within the precinct. Cyclists should help others when riding in groups on the road. That is to point out hazards, potholes, slower riders ahead etc. Less experienced riders need to learn the correct cycling etiquetteand more experienced riders should be reinforcing these skills. Make sure you keep your eyes on the road and riders in front of you – even when talking to other riders. Safety comes First!! Vehicles following a group of riders should be straddling the edge of the road - not sitting out in the middle of the road. This makes it much safer for vehicles wanting to overtake to see down the road and to see when it is safe to overtake. It also helps other riders to move through slower groups ahead. Teams MUST make sure all support members and drivers wear a reflective safety vest at all times (day & night). Riders make sure you have your reflective vest for night-time riding and sufficient batteries for your front and rear lights. Be sure to use quality lights front and back. It is no excuse to say “my light is not working” or “it fell off on the last rough section”. Last year a rider had a very faint rear light, you could hardly see it and he/she was riding alone. Safety comes First!! Riders MUST obey all road rules at all times and this includes wearing an appropriate helmet when on the road. Australian Almonds from the Sunraysia, riding for Heartbeat Victoria and Flogging a Dead Horse from Portland, riding for Portland Hospital. St Kilda Cycling Club will have Carol Cooke riding in their team this year. Carol is a Paralympian and has won the world Championship 9 times. In 2016 Carol was part of the Australian Paralympic team for Rio and came away with 2 gold medals in the Road Time Trial and Road Race. In 2017 Carol once again became a dual World Champion, retaining her #1 ranking and to cap off an amazing year was awarded the top award at the Victorian Institute of Sport – The Award of Excellence. Normal Registrations: Close Sunday 31 March 2019. The M2M recently conducted its AGM in Port Fairy and John Clue (President) delivered his Annual Report to the Board. John highlighted and thanked the members of the Board and the very many volunteers for their commitment and emphasised our goal to expand the number of participants involved in the M2M. The fantastic weather helped greatly in the running of the 32rd M2M in April this year. In addition John thanked the Moyne Health Board for their ongoing support, and Sophie O’Keeffe who represents Moyne Health on the M2M Board. Our Treasurer Bernie Waixel, was recognised for ensuring the booking systems runs smoothly and that we are able to meet all our obligations in terms of accounting processes and governance. .John also specifically thanked our Administrator, Lou Hollis, for all her work in organising the road permits and liaising with the many participants who need assistance or have questions about the M2M. President: Peter Goy; Vice President: Peter Bollard; Secretary: Kate Winnen; Treasurer: Bernie Waixel; Plus the following Committee Members: John Clue, Jeff McLean, Charlie Blackwood, Barry Moran, Denise Wilkie, Helen Tredinnick, Jenny McLean, Cynthia McLaren, Bruce Brown and Sophie O’Keeffe (Moyne Health Services Board representative). Retiring members are Hester Woodrup and Alice Birrell, both of whom the M2M owes over 30 years of gratitude for their enthusiasm, dedication and all the good times they have contributed to help create the M2M, and develop it into a major recreation and charity event for all Victoria. More on these two great ladies in the next edition. Team Managers and individual team members or potential members should now be aware that the M2M website has recently been updated and the Team and Individual members Registration Portal is Now Open. Early Bird Registrations Close: Sunday 16 December 2018, and the Final Closing Date for Registrations is Sunday 31 March 2019. Dates: Saturday 6 and Sunday 7 April – 2019. Note: Victorian School Holidays: Saturday 6 April to Monday 22 April 19. Note: Easter Public Holidays: Good Friday, 19 April. Easter Saturday, 20 April. Easter Sunday, 21 April. Easter Mon, 22 April. This article originally appeared on the Children’s Cancer Foundation website. 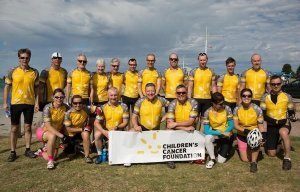 Republished with permission.The Cytotoxic Cyclists have taken part in the Murray to Moyne Cycle Relay since 1997, raising over $600,000 for the Children's Cancer Foundation. For years, Rick’s colleague, Derek, had raved about how much fun the Murray to Moyne Cycle Relay event was. So, in 2011 “for a bit of peace and quiet” Rick joined the Cytotoxic Cyclists as a rider. Each year, Rick usually rides 300kms. “Most of us are average riders with the occasional legend (hello Nadia), so when we rotate the lead those with stronger legs can sit at the front longer,” Rick said. The 2018 event was the first ride since Derek had passed away from cancer, making it an extra special year for Rick. “I’m sure he had something to do with the 'champagne riding’ and lack of punctures,” Rick said. ‘Champagne riding’ is a term used by the team to describe perfect riding conditions – temperature, tail wind and the sun on their backs. Rick rides for his cousin who he lost to leukaemia, when he was 10 years old and she was only 12, and many others. “Cancer is still too common, everyone has family or friends affected and for children it is particularly unfair,” he said. To prepare for the event, Rick puts in regular training rides and rides with others for motivation. “It doesn't have to be huge distances, my commute to work keeps things ticking over, and then drop in some longer rides,” Rick said. As the Cytotoxic Cyclists ride from Echuca to Port Fairy they pass through some picturesque Victorian countryside. For Rick, his highlights include twilight riding out of Stawell, “riding in the still of the night with the silhouette of the Grampians” and enjoying a well-deserved beer at the finish line. “The Murray to Moyne is a great challenge – it’s very satisfying, loads of fun and our support crew is second to none,” Rick said. “To everyone who organises and supports the team before and during the event, you make the riders’ job so much easier – thank you!” "It makes me feel very proud and humble to be a part of this special group of people," he said. Threaten to wear Lycra to the office. Again we are delighted to announce that Hearn’s Port Fairy Accommodation will provide a nights accommodation for 2 at one of their premium properties. Once the Early Bird Registration Closes, One registered participants name will be drawn to WIN a weekend for 2 at one of Hearn’s Fabulous Beachside properties. You have to be in it to WIN it. Just ask David Castles (2018 winner). Why Ride the Murray to Moyne? Early Bird Registrations Close: Friday 16 December 2018, and the Final Closing Date for Registrations is Sunday 31 March 2019. Dates: Saturday 6 and Sunday 7 April, 2019. Note: Victorian School Holidays: Saturday 6 April to Monday 22 April 2019. Again we are delighted to announce that Hearn’s Port Fairy Accommodation will provide a nights accommodation for 2 at one of their premium properties. Once the Early Bird Registration closes, one registered participant’s name will be drawn to WIN a weekend for 2 at one of Hearn’s Fabulous Beachside properties. You have to be in it to WIN it. Just ask David Castles (2018 winner). Your Team rides the whole distance – 520 kms. Individuals ride in a relay and a team member must be on the road over the total distance. Most individuals ride a total of 150kms to 200 kms in relay sections. Some ride 25 or 30 km sections with a partner and then change over to a new pair of riders – this is repeated over the whole distance. There is no minimum distance for an individual rider – its all up to you and your team. Planning the changeovers is important! All teams will need some way of transporting their bikes to the start point and to hold bikes when someone is not on the road. This is usually achieved by organising a trailer well before the event. Run a special event to raise some funds for this purpose or if you are sponsored by a business, they might like to contribute to a trailer for the team. Most teams and riders use road bikes for this event as the whole route is on paved roads. All teams and all riders MUST follow the road rules, all riders MUST wear reflective tops at night and use quality lights both front and back and all riders MUST wear bike helmets at all times when riding. Safety is most important – for you and your fellow riders. Many experienced teams pre-organise their meals – especially the dinner on Saturday afternoon/evening via Dunmunkle Lodge (Minyip), Beulah Primary School or the Rapid Relief Team (Stawell). This takes pressure off the team organisers and is a pleasant break for everyone off the road (details and menus in a later newsletter). When the team stops for dinner – many teams keep at least 1 rider on the road – so that you keep the team in motion. To do this the rider or riders need to organise to have their dinner earlier or later than the bulk of your team. Remember the distance from the lead car to the rear car cannot be more than 60 kms – so you don’t want to lose time on the road by having a dinner stop for all riders at one time. All Teams are required to STOP in Hamilton. Many teams stay at the Check In Point at the Hamilton Show Grounds (showers are available across the road at the Indoor pool), but some teams have also organised to stay overnight in motels or other types of accommodation. For the Sunday morning ride from Hamilton to Port Fairy, many teams have all members of the team on the road. Morning tea such as hot pancakes are available at Macarthur or Hawkesdale (depending upon which route you are allocated). When you arrive in Port Fairy, the town comes out to welcome you and most teams all ride in together to the applause of the community. Your chest gets bigger the further you ride in and at the finish you can have a great moment with all your fellow team members as you receive your medallions. Wow we made it! What a Ride! A Great Achievement! Please note that the minimum age for participants is 14 years and 9 months, as at 6th April 2019. We also recommend that all team members have Ambulance Insurance Cover. In the unfortunate circumstance that you are involved in a mishap, you do not need another big $$$ surprise. By Suzan Morey, SWH Community Partnerships Manager. My health service truly values the Murray to Moyne Cycle Relay. Over the 15 years I’ve been the contact point for the teams choosing to ride for South West Healthcare, more than $200,000 has been raised for otherwise unaffordable medical equipment, aides and initiatives. But just as importantly as the fundraising component is the friend raising and the fun raising. Our teams – their riders, support crew, supporters and families – are fantastic friends of, and ambassadors for, our organisation. They help promote our health messages locally, and all along the 520K stretch of road between Mildura and Port Fairy. And then there’s the fitness side of it all plus the team building, the morale boosting and the social wellbeing benefits. So highly regarded is all of this that we help pay for some of the running expenses such as onboard refreshments, transport costs and we host a Welcome Home Reception a month after the event to recognise the efforts of everyone. We are also very proud that one of our current three teams, Warrnambool College (team #12), has been riding for us for 30 years and we are so thrilled that Lester Campbell was the recipient of the Graham Woodrup Memorial Award this year. Lester is now preparing for his 31th year as the fundraising committee manager. What an inspiration! Our Scrubbers & The Gasman team supports our theatre-specific needs, Our Warrnambool College team supports our paediatrics-specific needs and our Grasmere Primary School team supports our palliative care-specific needs. There is no competition between any of these teams. We are one big happy family. We feel truly blessed that all of these people ride for our patients, and our community, and we look forward to Ride 2019. M2M Committee Request: How much has Your Team Raised? The M2M Committee have requested that each team submit the actual or estimated funds raised by your team for your particular health related charity. This is important for the Committee, when it is in discussions with government departments (eg VicRoads / Vic Pol etc). In addition, it assists our case when describing the value of the event to the community, when we are trying to justify why we need to use a particular road or when requesting sponsorship for the event (mostly in kind). This really helps us to keep the cost of the event as low as possible, so teams can focus on raising funds for their charity. It has been noted that some teams have not sent a return e-mail to Lou (admin@murraytomoyne.com.au), our Administrator and therefore this hinders us in our work and preparation for the 2019 event. So Please – organise someone from your team to reply to Lou’s email and indicate to us. If you have not finished running events, then please add the estimated amount you think your team will achieve. Please indicate the Full Name of your Team and the Full Name of the health related charity you are raising funds for. 33rd Murray to Moyne Cycling Relay: Saturday 6 and Sunday 7 April – 2019. Teams can now commence organising your teams for the 33rd ride. Reminder – Please ensure you book your accommodation well ahead. Note: Easter Public Holidays: Good Friday, 19 April. Easter Sunday, 21 April. Easter Monday, 22 April 2019. WOW – The 2018 M2M - What a Tremendous Cycling Weekend! Wow what a tremendous cycling weekend for the 2018 Murray to Moyne! Warm weather, cloudless skies and wow – that tail wind generated the quickest M2M anyone can remember. Teams were arriving at all the land marks well ahead of the normal scheduled times. Teams arrived at Hamilton from about 9:00 pm and caught some of the support staff off balance due to the early arrival. Overall the Ride Directors were very happy with the running of the 2018 ride. A big thankyou to all teams and participants for making the M2M ride safe for all and a really enjoyable experience. We have had many very positive and favourable comments from teams and the M2M officials thank you all for your cooperation and support. In addition, we need to thank the many officials who helped to make the ride possible. These are all volunteers and we wish to recognise them for their time and expertise: The ride directors, front and rear vehicles, medical support, motorcycle marshals, corner marshals; Hamilton stop officials, Port Fairy finish officials, parking assistants, traffic marshals. We also need to recognise the hospitality support on the ride from: Rapid Relief Team, many Lions Clubs and Rotary Clubs, Beulah Primary School, Dunmunkle Lodge at Minyip, Hawkesdale CERT and Arty Hoey and his band at the finish in Port Fairy. · The new Hamilton Signage was missed by some teams and will need to be reviewed. · Direction signs from Echuca were not in the correct positions and some teams took the wrong turns. · Closer co-ordination for services in Hamilton is required next year. This includes the traffic co-ordination and marshalling at the start of the ride and through Hamilton City. · The Committee will look again at the process at the end of the ride ie Medal Presentation etc. · This year a number of teams did not participate as the team members were all getting older and felt they needed a year off. The Committee is aware that many teams have been participating for well over 20 years and re-generation is required at the grassroots level. We notice that the teams that are able to recruit new members are able to maintain their enthusiasm and recommit to the M2M and to their health charity. · We have noted that a number of Team Managers have not necessarily sent out the newsletters to all team members including all the regulations for the ride. Some examples of blatant disregard for the ride rules included: One rider was filmed wearing a camera on their helmet and another rider was found helmetless – both very dangerous and illegal! · One rider fell at Cavendish and required medical attention. A rider also fell at Kirkstall and was assisted by another rider (who was a GP) before an ambulance arrived – no breaks. A special thankyou to the GP for his prompt first aid assistance! A serious accident occurred near Echuca, but none of our officials were notified – we are following up. 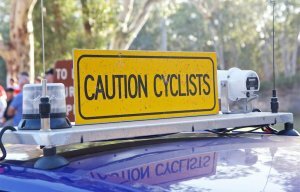 · Support vehicles still need to be reminded to move off the road more to allow through traffic safe passage and this was especially noticed coming out of Echuca and Mildura. Graham Woodrup Memorial Award – 2018. Congratulations: Lester Campbellfor being awarded the GWMA Medal for 2018 due to his dedication to the spirit of Graham Woodrup and the Murray to Moyne Cycling Relay. Lester first became involved in the M2M in 1990, when he volunteered to drive a support vehicle for the Warrnambool College Team No 12. Lester drove from Mildura to Port Fairy with a team of five riders and Lester was the one support member. Lester was driver, mechanic, cook, bottle washer and prime motivator. Lester, due to his love of statistics also kept detailed records of all the relay rides, kilometres covered and these statistics span the 29 years since Lester became involved. In 1991 Lester became a rider for the first time and has completed 25 rides over this period (counting 2018). Lester has been inspired by Graham’s challenge to encourage people to enjoy the benefits from riding and riding for a good cause, he has been instrumental in keeping the team participating by regenerating the team and recruiting new members each year. He has recruited and trained 16 different supporters and 46 different riders during this time. As many Team Managers will know, it is not an easy task to recruit and to train new supporters and riders each year. The team riders are well prepared and set themselves a realistic objective for the weekend. Team safety is extremely important and Lester always reminds team members of their safety obligations and ride regulations and use of safety equipment. Lester has managed the fundraising committee over these 29 years and the team has raised over $100,000 for the Children’s Ward of the Warrnambool Base Hospital. The team has used these funds to make strategic purchases for the Children’s Ward and some of these have included: Computers for ill students to continue their school work while in hospital, beds for parents to use when their child is in hospital and last year the team helped purchase a specialist infant ventilator to be used for very seriously ill babies both in the hospital and to travel with the infant on the Royal Flying Doctor Ambulance. Lester has overcome some serious medical issues over his 29 years involvement in the M2M. Due to Lester’s courage and fortitude he has made his way back and is an inspirational leader of the Warrnambool College M2M Team 12. Deb Glen: Team Outpatients, Team No 112 – Based at Rural Northwest Health – Hopetoun Campus. Sue Afford: Team Outpatients Team No 112 – Based at Rural Northwest Health – Hopetoun Campus. Vin Walsh: Team Robinvale Euston BUG, Team No 261 - Robinvale and District Health Services. Deb Glen started driving the Hopetoun M2M Bus in 2006 and has been driving it ever since. Deb has completed her 13th M2M or, as she says, the 12A ride. Deb is not superstitious! Deb has been a very dedicated and committed team member is one of the biggest fundraisers for the team each year. Deb approaches everyone she meets – even around the lake on long weekends when she meets visitors from out of town as gets them to add a few more dollars to the team effort. This is Deb’s last year as driver and the team will miss her safe and skilled driving, dedication to the Hopetoun community and Team Outpatients! Sue Afford has been involved with Team Outpatients in a range of roles for over 22 years. She has been President, Secretary, Treasurer, Safety Officer, Cook, Team Manager, Training coordinator amongst many other roles. Sue has been instrumental in raising funds for Team Outpatients via the annual Cabaret’s in Hopetoun and Warracknabeal. Sue has been instrumental in recruiting and training new riders – vitally important for team sustainability. Sue has been very closely involved in a range of community activities including: The Hopetoun Audax Ride, Hopetoun Football & Netball Club, Neighbourhood House and the local CWA. Vin Walsh has been a member of the Robinvale Euston Bicycle User Group over the last 20 years. Vin has encouraged others to ride and be involved in the Murray to Moyne and has been the driving force associated with the fundraising aspect which has raised over $65000 for the Robinvale and District Health Services over that time for equipment and sensory garden/landscaping. Vin has been the driving force in coordinating the Robinvale Euston Bicycle User Group’s Murray to Moyne participation in that time including building the club’s resources which now include a bicycle trailer and 2 loan bikes for beginners. He has also been tireless in his encouragement to members of the local and wider community to participate in bike riding or be involved in a support basis of the group. Vin moved away from Robinvale to Castlemaine in 2016 after retiring but still continues to be involved in the group and participate in the group’s Murray to Moyne campaign including organisational aspects. Vin is an inspiration to others and a significant factor in the Bicycle group’s involvement in the Murray to Moyne. Graham Woodrup Memorial Award – 2018 – Please think about nominating someone special! Any person associated with the Murray to Moyne, as a Rider, Support Crew or Event Volunteer. All potential recipients of the award (nominees) are required to be present at the Final Presentation Ceremony in Port Fairy on Sunday 8 April 2018. Reminders to Team Captains and Riders. The M2M provides riders of all abilities with the physical challenge to cover the full distance in not much more than 24 hours as a team in relay. We do not want the distance from the front of the ride to the back to be more than 60 kms, so if too many riders sit on the Lead Vehicle it may need to stop to allow the Rear Vehicle to catch up and keep the ride within the 60 km range. This occurred on each route last year, so riders need to keep this in mind. It is NOT a race ! In order to keep the relay moving down the road at a reasonable pace, teams should aim to keep some riders on the road at all times. Ie During the dinner break, the whole team should not stop. You should stagger those having a meal with those who keep riding. In this way you keep your team moving and this helps keep the ride within the 60 distance range. Riders who will be riding at dusk should be carrying lights and be able to turn these on once the official lighting up time occurs. Lights MUST be located on the bike and not on a helmet or person (as per the road law). Motor Cycle Marshals are strategically placed along the M2M route. They are there to assist riders and teams with any emergencies and to ensure you are all following correct safety procedures and heading in the correct direction. Please follow a Motorcycle Marshal’s directions as they have your safety as their prime responsibility. 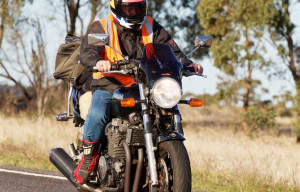 Most charity bike rides do not have Motorcycle Marshals and they are there for the safe running of the event and to ensure we comply with all VicRoads and VicPol requirements. Team Drivers – Please ensure you stop in a safe place and not just anywhere along the side of the road. (Many teams stop exactly where the kilometer mark comes up). This is not necessarily the safest place to get off the road. Remember – your team members need space to get their bikes off trailers and get organised, so you need room and you need to be off the road. Safety comes First!! Don't hesitate to ask the M2M Co-ordinator, a competitive cyclist or someone who has done this ride before for help with your training, bike set-up, food, clothing, etc. The M2M has been trying to source a venue close to the finish in Port Fairy to be used for people to change clothes etc. once completing the ride. This has not been successful and we direct teams to the Belfast Aquatic Centre – where modern clean toilets, showers are available for a gold coin donation. We will keep looking! Echuca Route: The Rapid Relief organisation have confirmed they will supply catering at the following venues for this year’s ride. Start of Echuca and Swan Hill ride – Breakfast. Dinner at Stawell for the Echuca ride. Swan Hill Route: Dunmunkle Lodge at Minyip – Dinner – At the Heart of the Wheat Belt – this is a new opportunity for all those on the Swan Hill ride. Well worth it! Mildura Route: Beulah Primary School – Dinner – Relaxing venue, great food, cool drinks and great facilities. Hamilton Compulsory Stop: The Lions Club of Hamilton will provide a BBQ and soup at the Hamilton Show Grounds well into the night and a Breakfast before the ride commences from Hamilton to Port Fairy. Hamilton to Port Fairy Via Macarthur: The Lions Club of Macarthur will provide pancakes, egg and bacon rolls and hot drinks. This proved very popular last year and the Lions should be setting up in the Lions Park, Main Street. Hamilton to Port Fairy Via Hawkesdale: Waiting on information re catering for 2018. Team Captains: Please ensure your members are registering and please send these Newsletters out to all your team members via e-mail- being informed in a timely manner is vital to any efficient organisation. We now have 7 weeks to the Murray to Moyne on the 7thand 8thApril, enough time to sharpen up your training, increase your speed, and peak for the event. If you have been following the methods of these training tips, your endurance should be well developed and your strength much improved, you should be feeling fairly good by now, ready to meet the next challenge. The next improvement you can make is to increase your cruising speed, so that you feel a bit more comfortable riding at a higher speed, which is often required in the Murray to Moyne should you hook up with a faster bunch, or need to pick up a higher pace for one of your stints. Normally riders do about 1 hour between changeovers, so the faster you can ride in an hour the better. This does not mean you go out and ride for an hour as fast as you can in your training sessions - this would be too taxing if done often, and your speed would not increase that much. The best method is to break up your efforts, into intervals where you can ride at a higher speed. These are tough, to be done 2 times a week at most. I like to start with 5 minute intervals, I find these achievable as it takes a lot of mental fortitude to ride hard for a considerable time. Start conservatively, put it in a higher gear, do not start too fast, ease into it, otherwise you will blow up after a minute. You will initially feel fresh, but fatigue kicks in very quickly and you get slower and struggle to push the gear. The idea is to average your effort (power) over the whole interval. Concentrate on your form, smooth pedalling, relaxing the upper body, and do what is achievable according to your fitness. Do not be over ambitious, you may be fresh the first time you do this, and ready to take on the world. Remember, you need to do these over the next few weeks and it may be too difficult to keep up to that initial high standard. Further, safety is paramount. If you can, find a course without interruptions (no problem for country cyclists) and watch where you are going, because you are going faster under effort and need more concentration. Start with 5 minute efforts, then recover on a small gear. This recovery time could be between 2.5 to 5 minutes, depending on your fitness and how you feel. To gain improvement in your cruising speed, ride your intervals faster and reduce your recovery time, so for early sessions, have a good recovery time, so you have room for improvement. At first, you may be able to do 2 or 3, 5 minute efforts, perhaps more. Build them up to your capabilities. If you are experienced, you can do up to 6 or more. You can change the interval time to 10 minutes, but just do half as many, or a 20 minute effort, increasing to 2 efforts, if possible, just to test how you are going after a few weeks. Everyone is different, do what you are comfortable with. You do not have to do that last interval which could destroy you! You can do this training in a 4 week block, 3 weeks hard, 4thweek recovery, leaving 3 weeks to sharpen up and then peak for the event. As well as this interval training, you need to maintain your longer rides once a week, keeping up your bunch riding skills, and one session to maintain your strength training, which could be incorporated into your longer rides. Congratulations to David Castles Registration No 74 from Horsham whois the winner of the accommodation package for 2 at Hearn’s Port Fairy Accommodation. David has been the bus driver for the Warrnambool College Team 12 and he will be driving the support bus this year for the 23rd time. That is a total of 23,920 Kms from Warrnambool to Mildura and back 23 times. Now that is a very deserving winner! Normal Registrations: Close Monday 26 Monday 2018. Final Closing Date for Registrations is Thursday 29 March 2018. Reminder: All Riders, Drivers and Supportersmust be registered by the closing date. We have 10 weeks until the ride so if you have not commenced organising your team. Now is the time. Currently we have 34 Teams registered. The Early Bird Registration Prize will be drawn at the next M2M Board Meeting. Hamilton Compulsory Stop: The Hamilton Show Grounds will again be the compulsory stop and all teams MUST register at the showgrounds once you arrive. Refurbished showers and toilet facilities will be available opposite the Show Grounds at the Hamilton Aquatic Centre. Accommodation is available at the Hamilton Sheep Judging Pavilion within the precinct. Cyclists should help others when riding in groups on the road. That is to point out hazards, potholes, slower riders ahead, etc. Some less experienced riders need to learn the correct cycling etiquetteand the more experienced riders should be reinforcing these skills. Make sure you keep your eyes on the road and riders in front of you – even when talking to other riders. Safety comes First !! Durham Ox is a small rural locality on the M2M route from Echuca. It is near the Serpentine Creek, a tributary of the Loddon River. This is a highly valuable natural resource to both the local tourism and agricultural economies. At the 2016 census, Durham Ox had a population of 74. This small but vibrant community is widely known because of the 'OX' landmark that lies on the Loddon Valley Highway. The 'OX' stands next to the former Durham Ox Store site which was destroyed by a fire in September 1996 and never rebuilt. Post boxes, bus stop, telephone box and a parking area also mark this spot. The name and image on the landmark are derived from the Durham Ox, a prize 19th-century bull. Durham Ox is also listed as the safest place to live in Victoria. Once you arrive in Port Fairyone of the best things to do is to ride around the coastal foreshore and enjoy the great seaside vistas. These include the famous East Beach (worth a dip), ride to the Flagstaff and Battery Hill. Enjoy the historic port and river precinct and then ride around the coastal route past the shearwater colony and the Pea Soup coastal reserve. Host Towns include: Healesville, Melbourne, Colac, Warrnambool, Ballarat, Mitchelton Winery, Nagambie, Lake Mountain, King Lake. Early Bird Registrations Close 16 December 2017, and the Final Closing Date for Registrations is 26 March 2018. We are delighted to announce that Hearn’s Port Fairy Accommodation will provide a nights accommodation for 2 at one of their premium properties. Once the Early Bird Registration Closes, One name will be drawn to WIN a weekend for 2 at one of Hearn’s Fabulous Beachside properties in Port Fairy. The prize will be given to the Team do with as they wish. Many Teams use the Prize as part of a raffle to raise funds for the team or maybe one of your members deserves special recognition for all their fundraising effort, support on the road for many years etc. It’s up to Your Team. Therefore if you have more team members registered by 16 December, the more chance your team has to win the prize. The M2M Welcomes: Dunmunkle Lodge (Wimmera) Riding for the aged care accommodation in Minyip. We all look forward to seeing your team on the road! Swan Hill Route: Try a Different Start Point – Well worth it! This year the riders from Swan Hill will have the opportunity to support the Dunmunkle Lodge by purchasing dinner on the way down to Hamilton – very similar arrangements as available on the Mildura ride – very popular with the support crews and riders every year. Details to follow in the next newsletter. Please note that the minimum age for participants is 14 years and 9 months, as at 6thApril 2018. We also recommend that all team members have Ambulance Insurance Cover – In the unfortunate circumstance that you are involved in a mishap – then you do not need another big $ surprise! The M2M recently conducted its AGM in Port Fairy and John Clue (President) delivered his Annual Report to the Board and Members of the Committee. John highlighted the community involvement in rising to the challenge of running the M2M Cycling Relay as an independent community organisation. He thanked the Board members for their work and the many volunteers for making the 31st running of the ride a real success. In addition he thanked the Moyne Health Board for their ongoing support, especially Mr David Lee (past CEO), for ensuring a smooth transition to an independent organisation. Our Treasurer Bernie Waixel, was recognised for steering the Board in the right direction and ensuring the successful transition to a new accounting and registration system, both of which required many hours of problem solving, and ensuring we satisfy all regulatory requirements. Special mention was for our Administrator, Lou Hollis, for her ability to meet the challenges of a new job in a short time. John also mentioned the move to the new registration system, newsletter, and to Woody for ensuring good weather for the 31st ride. The following Office Bearers where elected to the Board. President: John Clue, Vice President: Hester Woodrup, Secretary: Kate Winnen, Treasurer: Bernie Waixel, Plus the Following Board Members: Mike Cornett, Peter Bollard, Jeff McLean, Peter Goy, Charlie Blackwood and Karen Foster (Moyne Health Services Board representative). 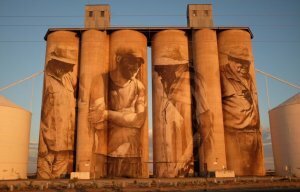 Well, if you join the Mildura ride in 2018, you will pass the famous Brim “Farmer Quartet” Silos, designed and painted by artist Guido van Helten. Located on the Henty Highway and stretching out across all four of the Brim silos (30 meters high), this massive mural was painted in 2015 as a tribute to the drought-stricken farming community. Created in van Helten’s famous monochromatic photo-realistic style, the mural has instantly become a regional landmark and provided the inspiration for The Silo Art Trail project across the county. Aesthetically the artwork aims to convey the strong sense of community spirit discovered by Guido while spending time in Brim. The artwork fuses the different elements of farming life into the monumental structure. It is a historical symbol of the changing landscape of the Wimmera. It is now some 8 weeks since my last article on training tips which focused on getting base training into your program. If you have been able to train consistently in this period, and gradually increased the distance you can ride, you should notice that your fitness and cycling skills have improved considerably. We are still some 19 weeks out from our Murray to Moyne objective, so there is enough time to continue working on your endurance to improve your cardiovascular fitness. Another important factor in cycling fitness is strength. Many of us witnessed Cadel Evans brilliant win in the World Championship where he attacked on the last hill on the big chainwheel, and used his superior strength to ride away from his competitors to take the win. By now adding some strength cycling into your program, you can develop your ability to ride hills stronger, fight on to close gaps quickly, and build upon all those base kilometres you have been doing at an easier intensity, to provide a bit more power to your pedal strokes. The best method to do this is to find a hill and practice riding on the seat with a much higher gear than you normally would. Aim at a cadence of about 50 rpm. Concentrate on a sustained effort, keeping your upper body anchored rock solid. Keep your pedalling smooth, sit well back on the seat, your hands on the tops of your bars. A warning, be careful you do not hurt your back, concentrate on using your core strength. If you think it is placing too much strain on your back, ride a smaller lighter gear and build up to using higher gears. Definitely err on the side of caution. The hill does not have to be long or steep, just choose what you can cope with, and repeat the effort as many times that you are comfortable with. Ideally, do this twice a week, continue your base training, but replace some it with these strength sessions, and make sure you schedule some rest time to recover. To happy and safe cycling. Jeff McLean. Early Bird Registrations: Open 16 October, Close 16 December 2017. Normal Registrations: Open 17 December, Close 26 March 2018. “The Heart of the Murray"
Swan Hill Ride: Try a Different Start Point – Well worth it ! Swan Hill is a Rural City in the heart of the Murray Riverland of about 20,000 people. It has a highly developed tourist economy along with the regional agricultural activities that generate high value produce (clean and green) worth over $285 Mil. These activities including the biggest almond farms in the southern hemisphere, the largest Australian concentration of fresh stone fruit, pistachios, olives, citrus, table grapes and after Sunraysia, the second largest wine grape production region in Victoria. The municipality has a reputation for the production of consistent yields of quality grains (wheat, barley) and growing high-quality disease-free fruit, vegetables and nuts. Cruise along the Murray River aboard the PS Pyap as it winds its way along the river. On a warm autumn night, position yourself at one of the many outdoor eateries in town, sit back and enjoy the local food and wine as you chat with your team members and get yourself psyched up for the M2M Cycle Relay. The Swan Hill route is noted for its exceptional scenery, undulating hills, varied directions and especially low traffic volumes. The roads are good and a large range of accommodation options in the Rural City. The pubs are good value for your team dinner and if you look at the direction of the route, you will NOT be facing a head wind all the way to Horsham! The M2M Welcomes: Jesuit Social Services M2M Team for the 2018 ride. We all look forward to seeing your Team on the road! It is a little over 6 months to the Murray to Moyne, and with spring upon us, it is now the ideal time to think about your training preparation for the event on the 7thand 8thApril 2018. Some of you will be experienced seasoned cyclists and continually in training, with a high level of fitness. At the other extreme, some of you will have done little cycling, and are planning get a team together for the first time to meet the challenge of the Murray to Moyne, and raise much needed funds for our health services. Consequently, no one training plan is going to suit everyone. Being this far out from the event, I am going to concentrate this article on those cyclists with little experience, so that if you can start your training now you should be able to attain a high level of fitness by the time the Murray to Moyne comes around. I will assume you have an appropriate road bike that suits you and that your position has been correctly setup. Make sure you seek proper advice on these matters to avoid injury and for your training to be effective, and please contact me if you have need assistance with this. Simply just start riding your bike as much as you can by getting in what is called the “base miles”. This should be an enjoyable period, do not worry about going fast at this stage. At this point of time you need your body to get used to the demands of cycling, to strengthen your muscles, and to gradually develop your cardiovascular system. Your aim is to gradually increase the distance you ride, at an intensity where you can easily chat with your cycling partner (if you are lucky enough to have one). Smell the roses, enjoy the scenery and the simple pleasure of riding a bike. The more you ride the fitter you will get, which will set you up for higher intensity training later on. Gradually increase the distance every week, with no more than 10% extra on the longest ride you are capable of each week. Try to get at least one long ride in during the week, mixed with shorter rides throughout the week as time permits. At this stage, the more rides (frequency) that you can do the better. You are not placing too much stress on the body. Don’t overdo it, rest if you are tired. A day off does wonders, too. You can do this period of training for about 6-8 weeks before moving onto faster training, but this depends on your schedule and how much time you can devote to training. I look at this period of training as putting money in the bank, building up your balance of kilometres so that you can draw on it later with your more intense training when you need to reap in the interest, and draw on the balance a bit. Further, while doing this type of riding you can develop your cycling and bunch riding skills. You need to learn to pedal efficiently and to ride safely in a bunch. Aim to pedal at a cadence of 90 to 95 revolutions per minute (a cycling computer helps). Build up to it. Your average for each ride will be lower as freewheeling etc. lowers it. There are many aspects of safe bunch riding, far too much to go into with this article, which I will try to address later. If you can, learn from more experienced cyclists in your area, be respectful, regardless of their age, some of them have a wealth of experience to share and are only too happy to offer advice if you ask. The main point I will make about safe bunch riding is to concentrate 110%, look ahead, do not look away while talking to the rider next to you, and anticipate what the rider in front and ahead of them are doing, so that you do not have to take extreme action if a situation arises. The smoother you can ride the better. To happy and safe riding. Again we are delighted to announce that Hearn’s Port Fairy Accommodation will provide a nights accommodation for 2 at one of their premium properties. Once the Early Bird Registration Closes, one name will be drawn to WIN a weekend for 2 at one of Hearn’s Fabulous Beachside properties. The prize will be given to the Team do with as they wish. Many Teams use the Prize as part of a raffle to raise funds for the team or maybe one of your members deserves special recognition for all their fundraising effort, support on the road for many years etc. It’s up to Your Team. Therefore, if you have more team members registered by 17 December, the more chance your team has to win the Prize. Google Reviews: Ashley Barnard. 2 months ago: Just incredible place! Amazing to wake up to the waves every morning. Nice secluded beach to walk along as well! Saturday 7 and Sunday 8 April – 2018. Note: Victorian School Holidays: Friday 30 March to Sunday 15 April. Note: Easter Public Holidays: Good Friday, 30 March. Easter Saturday, 31 April. Easter Sunday, 1 April. Easter Monday, 2 April. The M2M Board and Committee are well advanced in their preparations for the 2018 event. You may not realise it, but we need to gain permission from all the local council areas to run the M2M though each district. Plus, VicRoads, the regional VicPol Highway Patrols and Traffic Management Units. We are also updating the website and starting to book venues and organising new signage etc. Following other feedback we are aiming to get the Ride Guide onto the Website so teams (especially new teams) can be better prepared – with all the ride options, distances, feed stops etc. Thank you to the 466 people who completed the on-line survey. 90% of the replies were received in the first few days. The survey was open for 2 weeks. One e-mail related to the starting times for each leg of the event. This issue has been discussed many times and it is always going to be a compromise! Some people wish to start the event at say 7:00 am and so arrive in Hamilton earlier. Other teams travel long distances to arrive at the start the night before or on the morning of the event and do not want the time moved. Event organisers also need to do a range of jobs including the team briefings before we can start, so an earlier time is not favoured. A question about the cost of support members was also received and discussed by the Board at its July meeting. One team asked why the support members needed to pay a fee when they were not riding. The issue is that all participants in the event (riders, drivers, and support) need to be registered for insurance purposed. In addition, the M2M event registration fee is very cheap compared to with other rides eg Cadel Evans (111 Kms = $148, Round the Bay in a Day (210 Kms = $235). The M2M is a charity event and a great deal of the work is provided by our many volunteers, none of whom are paid so as to keep the costs to an absolute minimum. Another comment related to the provision of changing facilities at the finish in Port Fairy. The Board has welcomed this idea and moves are being made to utilize a facility near the finish for this purpose. Note: Full shower, toilet and changing facilities are available at Belfast Aquatics (Campbell Street). The full survey results (percentage form) are listed below. Q 2: I valued the teamwork involved in participating in the M2M. Q 3: Raising funds for our team’s health charity was important to my participation in the M2M. Q 4: I found the organisation of the M2M to be excellent. Q 5: The M2M organising committee kept me informed about the safety requirements of the event. Q 5: I was satisfied with the available facilities at the finish in Port Fairy. Q 6: I achieved my personal goals in terms of Kms completed this year. Q 8: The team numbers provided were easy to attach and use. Q 9: I found the Motor Cycle Marshals were a great assistance to our riders. Q 10: I experienced many dangerous situations during the 2017 M2M. Q 11: I found it difficult to navigate the online M2M registration. Q 15: I would recommend participating in the M2M to my friends / colleagues. Normal Registrations: Open 17 December, Close 26 April 2018. Graham Woodrup Memorial Award – 2017. 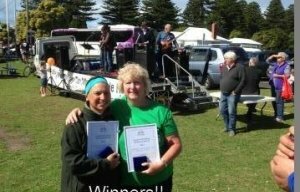 Congratulations Ann Hennessy & Christina Mavridis (Colac Cranks Team 30) joint awardees. Ann Hennessy has been part of the team for 14 years and Christina Mavridis participated in her 16th ride this year. Both Ann and Christina have been incredibly hardworking team members and are hugely committed to the team. So much so, that at the end of 2014, both had to face serious personal challenges and still able to participate in the ride. Ann and Chris work within the Allied Health Department at Colac Area Health, and each are well known amongst the Allied Health team as keen recruiters for the Colac Cranks Murray to Moyne team. Ann and Chris have been known over the years to persuade many an unsuspecting physio, dietitian or podiatrist into riding or crewing for the team. Their recruitment efforts have resulted in strong teams, and substantial team member numbers, with the team fielding an impressive 30 members in 2017. Throughout the years Colac Cranks have been represented by 150 riders and crew – and it is no surprise that many of these team members were recruited from Allied Health. It is not just in the recruitment process that Ann’s commitment to the team is noted. During the training season, which starts in November, Ann attends weekly training rides to drive the follow vehicle to keep the riders safe, and then provides drinks and homemade snacks afterwards- with a good dose of humour to boot! Similarly, Chris is one to encourage new riders along on training sessions and is always up for a ride week in, week out. Ann and Chris’s enthusiasm for the Colac Cranks and M2M is without a doubt infectious, and their keen ability to pass this onto anyone who appears even slightly interested in taking part is amazing. An example of this was in 2012 when a new Allied Health team member from Melbourne started working at Colac Area Health and didn’t have any friends or family in the area. They overheard Ann and Chris talking about M2M one day, and enquired what the event was all about. 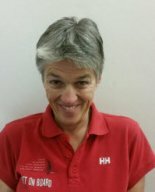 Although the team member didn’t own a bike and had never ridden a road bike before, Ann told them to ‘show up for training on Thursday and it will be all sorted.’ Six weeks later the team member participated in their first ever Murray to Moyne, made new and lifelong friendships, and is now one of the core members for the Colac Cranks M2M committee and has participated in the event every year since. The Colac Cranks fundraise for Colac Area Health to provide much needed medical health-related equipment and supports for the Colac Otway Shire community. Ann and Chris are always the first people to put their hands up to assist with any Colac Cranks fundraising effort. Whether it is a dress up movie night, trivia evening or a group dinner, Ann and Chris will work hard to bring the event together and gather as much community support as possible. Dates for the 32nd Murray to Moyne Cycling Relay: Saturday 7 and Sunday 8 April – 2018. Teams can now commence organising your teams for the 32nd ride. Reminder – Please ensure you book your accommodation well ahead as we did have a team this year who had not fully appreciated the demand on accommodation and transport. Overall the Ride Directors were very happy with the running of the 2017 M2M Cycling Relay. A big thankyou to all teams and participants for making the M2M ride safe for all and a really enjoyable experience. We have had many very positive and favourable comments from teams and the M2M officials thank you all for your cooperation and support. In addition we need to thank the many officials who helped to make the ride possible. These are all volunteers and we wish to recognise them for their time and expertise: The ride directors, front and rear vehicles, medical support, motorcycle marshals, corner marshals; Hamilton stop officials, Port Fairy finish officials, parking assistants, traffic marshals. We also need to recognise the hospitality support on the ride from: Rapid Relief Team, Lions Clubs, Rotary Clubs, Beulah Primary School and Arty Hoey and his band at the finish in Port Fairy. However each year we have similar issues that persist and it is necessary to highlight these in the interests of everyone’s safety and to improve next year’s ride. We have at least 1 team that does not run their team as a relay, but rather the team rides, then stops and then rides again. This behaviour creates problems for the Ride Directors as the team gets behind the Rear vehicle and can hold up the whole event. Note: To be covered by the event insurance, you need to have at least one team member between the Lead and Rear vehicles at all times. Teams must keep moving down the road and should not stop at the end of each leg. Ie new riders need to be ready to take off as soon as the riders arrive at the changeover. In addition some teams all stop for the evening meal. Again this slows up your teams and the whole rides progress. Teams should be able to stagger who is having a meal and keep some riders and support on the road and then change over further down the road. A number of riders did not have reflective vests on at night. This is a clear breach of the regulations! At least 1 rider was on their own (no support vehicle), without a reflective vest and a very dull rear light. This rider was very lucky not to be injured as they were very difficult to see! Marshals were notified and the rider was instructed to get off the road. A number of riders were observed motor pacing vehicles in heavy traffic – this is a really serious breach of the rules. Support vehicles: Overall a better effort this year by the many drivers helping out as support for teams. We did however witness some very close shaves by teams who have reported these to Marshals and the Ride Director. For example: Vehicles passing on double lines; Vehicles stopping on narrow roads, without getting off the road; Vehicles supplying food & drink to a rider from the bus whilst moving down the road; Parking on the side of the road opposite double lines; Vehicles failing to move over to the left to allow though traffic to pass. Ann Hennessy has been part of the team for 14 years and Christina Mavridis will be participating in her 16th ride this year. Both Ann and Christina have been incredibly hardworking team members and are hugely committed to the team. So much so, that at the end of 2014, both had to face serious personal challenges and still able to participate in the ride. Both Ann and Chris work within the Allied Health Department at Colac Area Health, and each are well known amongst the Allied Health team as keen recruiters for the Colac Cranks Murray to Moyne team. Ann and Chris have been known over the years to persuade many an unsuspecting physio, dietitian or podiatrist into riding or crewing for the team. Their recruitment efforts have resulted in strong teams, and substantial team member numbers, with the team fielding an impressive 30 members in 2017. Throughout the years Colac Cranks have been represented by 150 riders and crew – and it is no surprise that many of these team members were recruited from Allied Health. It is not just in the recruitment process that Ann’s commitment to the team is noted. During training season, which starts in November, Ann attends weekly training rides to drive the follow vehicle to keep the riders safe, and then provides drinks and homemade snacks afterwards- with a good dose of humour to boot! Similarly, Chris is one to encourage new riders along on training sessions and is always up for a ride week in, week out. M2M Participants Survey: In the next week or so – we will be sending out a short on-line survey and we would appreciate you taking the time to complete it. 3 pairs of Gloves and 1 necklace (found at Hamilton). Our team are very excited to be riding in the 2017 M2M. This is the 16th year Australian Catholic University (ACU) has had a team in the Murray to Moyne. At least we think it's 16 years. Joe Perry from ACU is the foundation member and team coordinator and he's lost count! For the last seven years we have been in partnership with Youth Support Advocacy Services (YSAS). There is a small band of team members who've been on every ride since the team's inception. There are also a core of YSAS staff who've been with us ever since YSAS and ACU joined forces. The partnership is perfectly aligned with the mission of ACU and the strong spirit of community engagement at the core of ACU's programs. The partnership has worked extremely well and there's no reason that it should not continue for the foreseeable future. The team contains staff & students from ACU, staff from YSAS, and friends and relatives from all over Victoria. We're a keen bunch of like-minded people who enjoy riding our bikes and support the invaluable work of YSAS. YSAS engage, support and strengthen highly vulnerable and high-risk young Victorians affected by, or at risk of being affected by, alcohol, drugs, mental health issues and social disconnection. YSAS does this by developing non-judgmental, caring and respectful relationships with young people and their families and communities. With more than 330 skilled staff, YSAS provides a range of integrated services across 12 sites in metropolitan and regional Victoria. We look forward to seeing you on the road at the 2017 M2M. Ride safe and may the wind be ever at your back. Ride Update: The 31st Year. Maywe all experience fine weather and a tail wind! Congratulations to the Colac Cranks - Team 30 (Colac Area Health) who have a team of 27 Riders and 5 Support members. Clearly the largest number of participants for the 31st ride. Give them a big shout when you see them. Mildura Ride: Friday Night 31 March or Sat 1 April - Fishers IGA, 15thAvenue, Irymple (5 km South of the river). Swan Hill Ride: Friday Night 31 March or Sat 1 April - Showgrounds at Stradbroke Avenue, Swan Hill. 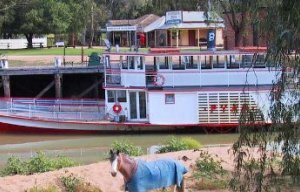 Echuca Ride: Friday Night 31 March – Paddle Wheel Motel Car Park, 385 High Street, Echuca or Sat 1 April – Victoria Park Boat Ramp. 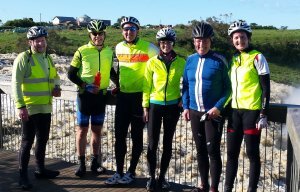 Hamilton to Port Fairy - Sunday Striders Ride: Saturday Night 1 April or Sunday 2 April – Hamilton Showgrounds before 7:00 am. Check in at the M2M Officials Caravan. Rapid Relief Team: Will be providing Breakfast at the start of both the Echuca and Swan Hill rides. Menu includes Bacon & Egg rolls, apple / orange juice, and water – free of Charge! General Information about the availability of meals on route (Also see Newsletter No 7). Vic Roads: Bike law booklet; information on the Port Fairy to Warrnambool Rail Trail. Complimentary Sunbeam Products – Sultanas and nuts. All participants must attend the Teams Briefing on Saturday 1 April at 8:30 am at the official start points for each ride. Here you will meet your Ride Director and representatives of Victoria Police. This final briefing will go over any ride updates as to the road or traffic conditions, weather conditions, etc. All the people involved in ensuring the ride is safely conducted will be introduced and their respective roles will be explained. Please ensure your team obeys any safety instructions given at the briefing as it’s in everyone’s interest that you do so. Ride Directors for 2017: Mildura Ride: John Clue; Swan Hill Ride: Leigh Parker; Echuca Ride: Jeff McLean. Lead Vehicles: No rider is to pass or gain pace from the Lead Vehicle or their team will be withdrawn immediately from the event. If riders are ahead of the Lead Vehicle, they are deemed to be excluded from the event. Rear Vehicles: The Rear Vehicle cannot average less than 22K/h in order to complete the event within 24 Hours. The Rear Vehicle will not stop for teams that pull off the road. You should ensure you have at least 1 rider on the road at all times. If a cyclist is behind the Rear Vehicle, they are deemed to be excluded from the event. Team Numbers: Help officials and your team support to identify you on the road. Each rider is to write their name and basic medical information on the back of your team number before you commence the event. It must be pinned on your lower back and be visible at all times. This is for your safety and to assist any emergency support to help you if you need it. Mildura Ride: Compulsory Stop at Warracknabeal. This is to enable the ride to come back together, teams to regroup and reduce the gap from the Lead to the Rear Vehicle. Echuca Ride: Compulsory Stop at Stawell. This stop will allow you time for teams to re-group and for Dinner. Rapid Relief Team will be providing meals for a gold coin donation. Accommodation is available in the Sheep Judging Pavilion and showers / toilets are available across the road at the Hamilton Indoor Leisure & Aquatic Centre. BBQ Supper is available from 10:00 pm to 12:30 pm and Breakfast is available from 5:30 am at the southern end of the Sheep Pavilion. (Provided by Hamilton Lions Club). On this stage of the ride only ONE vehicle is allowed to follow each team. Other non-designated support vehicles must remain ahead of the Lead Vehicle if they wish to travel down the ride route. If your non-designated vehicle leaves Hamilton behind the Lead Vehicle (after the ride has officially commenced) then you will be directed by Police to travel directly to Port Fairy via Mt Napier Road. This is necessary to prevent traffic congestion and is a response to Police requests. Only ONE vehicle per team will be provided with the Official (Pink or Green) sticker and it is to be placed on the top drivers’ side corner of the vehicle – it’s imperative that you know which vehicle is to follow the riders before you start the final stage to Port Fairy. Extreme care needs to be taken on both routes because of the congestion and narrow roads. Following vehicles need to keep well over to the left (this should involve the left wheel of the vehicle straddling the gravel or the edge of the road where practical). Cyclists should remain as far left as possible, ride in single file on double line sections, on crests and on winding sections of the road. Everyone (Riders / Drivers) need to show courtesy to oncoming vehicles and overtaking vehicles. Watch OUT: There are GoPro cameras on the road. There will also be a Police presence in either a patrol vehicle and or Police motorcycle officer allocated to both routes. The Police are there to improve safety of the participants and to enforce the road rules where necessary. Be Warned! Most complaints by the public are from this section of the ride. (STOP PRESS) Special Reminders: Make sure you have your reflective vest for night-time riding and sufficient batteries for your front and rear lights. Lights should be turned on at sunset: 7:13 pm. Daylight Savings Endsat 2:00 pm Sunday 2 April. Giving you an extra hour sleep – you’ll need it! Horsham – Caltex Service Station- located at 88 Stawell Road (A200) is being renovated and thus no service provided this year. Another Caltex station is located at 129 Baillie Street – also open 24 Hrs. Hamilton to Port Fairy– via Macarthur: Macarthur Lions Club - offering tea, coffee or milo with either a scone or pikelets for $5.00 for teams on the Macarthur route, call 0427101559 to pre-order. Via Hawkesdale: The Hawkesdale community will also be providing refreshments at Hawkesdale. The Murray to Moyne Cycling Relay Committee is a community organisation dedicated to raise funds for Moyne Health Services and facilitate fund raising for health related institutions across Victoria, SA, & NSW and to promote healthy lifestyles through cycling, following the inspiration and example made by Graham “Woody” Woodrup. This cycle relay has been organised by: John Clue, President; Hester Woodrup, Vice President; Kate Winnen, Secretary; Bernie Waixel, Treasurer, along with the following Members of the Committee: Charlie Blackwood, Peter Bollard, Jeff McLean, John Ralph, Mike Cornett, Jenny McLean, Errol Carter, Ailsa Paltridge, Alice Birrell, Cynthia McLaren, Denise Wilkie, Helen Tredinnick, Marian Cornett and Peter Goy. IT Support: Gerard Cashill and James Ng. Special Thank you to Lou Hollis (M2M Administrator) for all your hard work, organisation and cheerful attitude in making it all happen. Thanks Lou from everyone!! The Board and Committee would like to thank all 2017 participants of the M2M and to wish you all success in helping you reach your team goals and personal milestones. 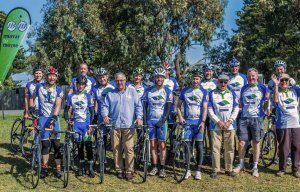 We look forward to the 2018 ride and hope you will all assemble in 12 months’ time on the banks of the Murray River to cycle the 520 kms to the Moyne River and enjoy the friendships and comradery you make on your journey, whilst improving your health and raising funds for your chosen health charity. We look forward to meeting you on the 2017 ride next week and we trust you enjoy the M2M experience so much that you will participate again in 2018 – Fitter, Healthier and making our community a better place in which to live. Team Captains - Are all your riders / drivers and support team Registered? The Murray to Moyne Cycle Relay Welcomes the following new teams for 2017. The Melbourne High School – Riding for the Australian Red Cross. River Riders, Echuca – Riding for Echuca Regional Health. The Metropolitan Fire Brigade, Melbourne – Riding for the Royal Children’s Hospital. Be22QAware, Melbourne – Riding for Royal Children’s Hospital Volunteer Services. DCH, Melbourne – Riding for Darebin Community Health Services. HLS, Colac – Riding for Colac Area Health Foundation. HypoActive – Riding for Type 1 Diabetes. Ride 4 Tara J – Riding for Cerebral Palsy. Maldon M2M Team – Riding for Maldon Hospital. 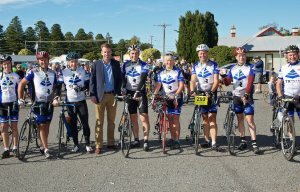 Team Harmony – Riding for the Blue Ribbon Foundation (Mildura Base Hospital). Echuca Ride: Breakfast menu supplied by the Rapid Relief Team. Egg & Bacon Rolls, Fresh Fruit, Orange and Apple Juice and water bottles. Swan Hill Ride: Breakfast menu supplied by the Rapid Relief Team. Mildura Ride: Dinner Menu supplied by Beulah Primary School. Relaxing venue, great food, great facilities – Order forms sent out in previous mail out. Will provide a BBQ and soup at the Hamilton Show Grounds well into the night and Breakfast before the ride commences from Hamilton to Port Fairy. 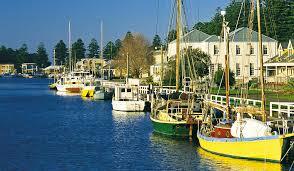 Final Stop: Port Fairy: Port Fairy Rotary will provide a BBQ lunch. Plus the usual array of catering facilities available, including Rebecca’s Café, Coffey Moments, etc. Reminders to Team Captains, Riders, Drivers. Team Captains should be checking all your Team members are Registered. To do this you need to open up the Team Captains portal and check who has completed their Registration. An URGENT reminder is now necessary!! The M2M Committee wish all teams well in your fundraising. Please let us know if your team is reaching a Special Milestone. Ie 5th, 10th, 15th, 20th 25th or even 30th ride. It might be a special amount for your fundraising activities! We will publish this in the next Newsletter. Graham Woodrup Memorial Award – 2017 – Please think about nominating someone special! Each year 'The Graham Woodrup Memorial Award' is recognised by a special award being presented to someone who has displayed 'exceptional effort and inspiration' to others in the course of his/her team's involvement with the Murray to Moyne, In Memory of Woody. Teams Bios: Have a look at the Website for the latest Bio: Riding 4 Youth. M 2 M Quiz No 2: Which Team has the highest number of participants / members ? Is it the Warrnambool Lattes ? Back for 2017 and always well organised! What About Port Fairy “Belfast Bikers” Team 1B ? Is there a competition for members between teams in Port Fairy – Who is paying Who to ride for them ? Colac Cranksalways has a big team, what about this year ? 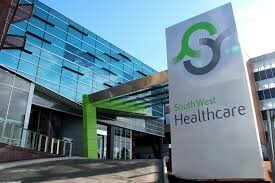 South Gippsland Hospital Mooverstravel a long way, but how many do they bring with them ? Melbourne High Schoolhas an enrolment of 1384 students. How many are part of the team ? M 2 M Quiz No 1: Which Team travels the greatest distance to participate in the M2M ? How many Ks do they travel ? Some Answers we have received ! “Danny from Deniliquin” – Last year our team travelled 78 kms from Deni to Echuca and then 471 kms from Port Fairy to Deni, Total = 549 kms. “Kathryn from the Keith Cogstrippers” travel to Mildura 399Km plus Port Fairy to Keith (SA) 364, Total 763 kms. “Hank from Hawkesdale” travelled to Mildura 488km , then returned home from Port Fairy 42 Km, total 530 kms. To date, the honours go to “Sue from Dandenong”: Who has identified the team who is travelling the greatest distance to participate in the M2M. The South Gippsland Hospital Moovers. Foster to Echuca (388 kms) plus Port Fairy back to Foster (461 kms). Total 849 Kms. The April 2017 ride will be this team’s 4th. From recent anecdotal reports of team members, most of which should be disregarded as distorted reality at best, this year’s team will be fitter and faster than ever before. 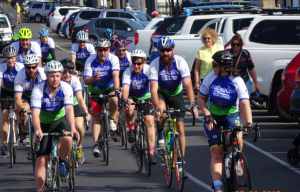 The team is made up of riders from three organisations in the Warrnambool region – Brophy Family & Youth Services, headspace Warrnambool and South West TAFE. We have recently confirmed a team of 16 riders and 3 support personnel. And what a mix of skill sets we have! This team should be the most cohesive, supportive and mentally tough bunch in the field. In terms of health and wellbeing, our psychologist has been charged with ensuring that the team’s minds are as finely chiselled as their physiques. We have a doctor who has been recruited to pick up the pieces when some of those bodies fail to live up to expectations. (Interestingly, this doctor is also a vet. We have had to insist on dual qualifications this year as a result of the ride two years ago, during which one of our riders was cleaned up by a kangaroo. The rider was well cared for by our team of health professionals, but the kangaroo was sadly neglected). Our Child Therapist and Social Worker will be well-placed to look after those members of the team who turn out to be less cohesive, supportive and mentally tough than we had anticipated. The team’s IT professionals will ensure that all forms of communication (mobile phone, social media, telepathy …) will be functioning at the highest level. We have a range of accounting and business management skills in the team, so our provisions for catering and other supplies should be detailed to the finest degree, courtesy of the most meticulously managed spreadsheets. Our resident plumber will be on hand to ensure that any non-functioning toilets encountered during the ride will be dealt with expeditiously. The team’s builder has been charged with constructing a 5-star all-purpose dwelling for the Saturday night in Hamilton – he has been given an hour for this purpose. Our team nurse will be on-hand 24/7 for the administration of all medicinal substances, although the skills required for accessing any with a twist-top are well-developed across the whole team. Finally, our strong cohort of teachers and trainers will ensure that all our riders are fully aware of the direction they should be riding in at any point in time. In preparation for the ride, the team have been very active. A small nucleus persists in getting out of bed in the wee hours of the morning three times a week to traverse the countryside on wheels (the photograph provides evidence of some of this group ‘taking 5’ at the majestic Hopkins Falls just east of Warrnambool). One team member also organises a so-called ‘social’ ride every Saturday or Sunday morning, where a lazy 100-odd kilometres are covered either side of the obligatory lycra-laden latte. The organiser of these rides presents an interesting story. Until this time last year, she had never ridden anything with less than 3 wheels. Having completed last year’s M2M event, she is now a confirmed cycling junkie (she sleeps in her lycra!) and lives and breathes cycling. Our Riding4Youth team have hosted 3 main fundraisers – a Trash ‘n Treasure sale, a film fundraiser night (the much lauded Lion) and a BBQ at Bunnings on none other than Australia Day – what else would they be doing that day?? In previous years, the team has raised money for various causes, including a mind & body fitness programme for young people studying at TAFE. This year, the team’s fundraising efforts are being directed to the implementation of strategies designed to prevent youth suicides – a cause close to all our hearts. Ride well, team. Newsletter No 6: February 2017 - Ride Update: 5 Weeks to Go !! Riders who will be riding at dusk should be carrying lights and be able to turn these on once the official lighting up time occurs. Motor Cycle Marshalsare strategically placed along the M2M route. They are there to assist riders and teams with any emergencies and to ensure you are all following correct safety procedures and heading in the correct direction. Please follow a Motorcycle Marshall’s directions as they have your safety as their prime responsibility. Most charity bike rides do not have Motorcycle Marshalls and they are there for the safe running of the event and to ensure we comply with all VicRoads and VicPol requirements. Team Drivers– Please ensure you stop in a safe place and not just anywhere along the side of the road. (Many teams stop exactly where the kilometre mark comes up). This is not necessarily the safest place to get off the road. Remember – your team members need space to get their bikes off trailers and get organised, so you need room and you need to be off the road. We have had feedback about the state and or availability of toilets at the start of the rides, so we are organising port-a-loos where necessary. Beulah Primary School – Dinner – Mildura ride: Relaxing venue, great food, great facilities – Dinner Menus and Order Form attached to this mail out. Email your orders by Thursday 23 March to: pcsecbps@hotmail.com. Team Captains: Please ensure your members are registering and please send these Newsletters out to all your team members via e-mail - being informed in a timely manner is vital to any efficient organisation. Graham Woodrup Memorial Award – 2017 – Please think about nominating someone special ! Any person associated with the Murray to Moyne, as a Rider, Support Crew or Event Volunteer. All potential recipients of the award (nominees) are required to be present at the Final Presentation Ceremony in Port Fairy on Sunday 2 April 2017. Graham Woodrup or Woody as he was fondly known, was a visionary. He had a dynamic and enthusiastic personality, inspiring others by example to be generous with their talents by using them to help others. These characteristics epitomise this award for 'exceptional effort and inspiration to others'. Teams – Please nominate someone who you think might be eligible! The M2M Committee would like to include more Team Bio’s on the website, so if you would like to submit some information about your team, please do so. Some guidelines published in the last Newsletter No 5. Newsletter No 5 – Quiz Question ? Which Team travels the greatest distance to participate in the M2M ? “Manfred of Koroit”: I think it must be Bordertown SA – Bordertown to Mildura (370 kms) Plus Port Fairy back to Bordertown (312kms) Total = 682 Kms. “Sue from Dandenong”: I think the team that has to travel the greatest are those from the South Gippsland Hospital at Foster. Foster to Echuca (388 kms) Plus Port Fairy back to Foster (461 kms) Total 849 Kms. Please think about nominating someone special ! Each year 'The Graham Woodrup Memorial Award' is recognised by a special award being presented to someone who has displayed 'exceptional effort and inspiration' to others in the course of his/her team's involvement with the Murray to Moyne, In memory of 'Woody'. Mary McGowan, Cytotoxic Cyclists, Children’s Cancer Foundation. Winston Silbereisen, Daylesford Wheelsuckers, Hepburn Health Service. We do not want the distance from the front of the ride to the back to be more than 60 kms, so if too many riders sit on the Lead Vehicle it may need to stop to allow the Rear Vehicle to catch up and keep the ride within the 60 km range. This was necessary on the Mildura and Echuca ride last year, so riders need to keep this in mind. It is NOT a race ! Teams should not waste time on changeovers. You should be aiming to have your fresh riders ready to go as soon as your team comes along. They need to be ready and organised ! Catering Arrangements as at end of January. The Rapid Relief organisation have confirmed they will supply catering at the following venues for this year’s ride. Start of Echuca and Swan Hill ride – Breakfast. Dinner at Stawell for the Echuca ride. Beulah Primary School – Dinner – Mildura ride: Relaxing venue, great food, great facilities – Waiting on confirmation. We will send out menus and order forms ASAP. The Lions Club of Hamilton will provide a BBQ and soup at the Hamilton Show Grounds well into the night and a Breakfast before the ride commences from Hamilton to Port Fairy. Who initiated the team and when was the team established? Official Team Name and M2M Team number ? Why was the team established – who are you raising funds for ? How have the funds raised been used ? Do you have any notable experiences from the M2M relay – what do you enjoy most / least about the ride ? What fundraising activities have you run and how successful are they ! How has your teams fitness improved as a result of the relay ie How much training does the team do, How often; All year or just in the months before the ride ? Have you had any funny / amusing events occur as a result of participating in the relay ? Quiz: Which Team travels the greatest distance to participate in the M2M ? How many Ks do they travel ? His training tips must really work ! (Please see newsletter No 4). Early Bird Team and participant Registrations Close,16 December 2016. From this date the cost of a registration will increase by $10.00 ($5.00 for Sunday Striders) until the event closing date of 10 March 2017, so if you have not registered yet, please do so!!! As at 7thDecember, we have 26 Teams registered, which is ahead of this time last year, so congratulations to all who are getting your teams off the ground and organised. We have had a couple of phone calls asking why we have moved to a new registration system. It’s important to note that we have moved to the new registration system to improve our efficiency and to reduce the paperwork required by Team Captains. Most importantly it is a requirement of our insurers & police and emergency services that we have all participants sign off on the insurance indemnity and that they read and accept the rules of the ride. In the past this was done at the commencement of the ride with individual pieces of paper, which are difficult to manage and keep for our records. Team Captains and participants who have used the new system all report how easy it is and how well it monitors all your riders and supporters registration progress via emails. We urge you to give it a go and we are confident you will be able to see the advantages for everyone. If you are new to the Murray to Moyne and would like some friendly advice on how to conduct your ride or advice on fundraising please give our Event Administrator, Lou, an email. Lou can organise a very experienced M2M member to contact you and give you some practical and timely advice. We have new teams from Vision Super, Ride4TaraJ; Creswick & Clunes CROCS, just to name a few. Riders are reminded that lights MUST only be attached to your bike, not your helmet! This is the road law. Vehicles should only use low beam when in proximity of the ride and other teams. We have had many issues with drivers leaving their lights on high when parking on the side of the road or moving along the ride. Please consider the other riders and support crews. Cycling Secrets: This website clearly explains many cycling techniques and helpful hints: Great for new teams / riders. Newsletter No 2: November 2016 - Welcome to our new Administrator! The more people and teams get together, the greater the benefit to us all. Participants not only gain improved health and fitness but also the reward of doing something that benefits the whole community and provides, via fundraising, a tangible outcome in the form of improved service delivery for their nominated health agencies. Contact the M2M office if you have any specific questions about how the ride and fundraising activities operate. Team Registrations: Team Captains will be required to register their team first and then themselves individually. It is a straight forward process and once “Approved”, all Team Captains will receive a special Login and Password. This will enable the Captain to send a link to all team members inviting them to register. The Team Captain will be able to manage team member registrations from this portal and see who has registered and who hasn’t – then send a friendly reminder to those in the latter category! Individual Team Members will be invited to register online once the Team Captain has completed the Team Registration. Your Team Captain will send you an Invitation email in the form of a link, (including Team Login and Password) in order to give you access to the Team Member Registration area. Note: All Team members will be required to accept the Rules of the Ride and be familiar with all this entails. We will send out an email version so the Team Captains can discuss the rules with all team members well before the event. The new registration process is simple and should help Team Captains and the Murray to Moyne Cycle Relay to improve our efficiency. Early Bird Registration: Open 7 November 2016 (Revised Date) Close 16 December 2016. Normal Registration: Open 17 December 2017 Close 10 March 2017. The iconic Murray to Moyne Cycling Relay is gearing up for a new and more independent future. As it makes final preparations for the 30th annual relay, the management team is establishing a new management structure to steer the event forward. Moyne Health Services Board chair Ralph Leutton said that since its inception, the event had been run under the auspices of Moyne Health Services. There were now plans for the committee to incorporate under its own entity to ensure the future viability of one of Victoria’s most popular cycling events. “Over the years, Murray to Moyne has become a much bigger and more complex beast,” Mr Leutton said. Mr Leutton said that whilst Moyne Health Services was and would continue to be a proud supporter of the event, its core business was providing health services to its communities. Mr Leutton acknowledged the value of Murray to Moyne as an important fundraiser, not only for Moyne Health Services, but for other health services across Victoria. Murray to Moyne Committee Chair John Clue said his colleagues and the many volunteers behind the event were excited about this year’s 30th anniversary ride and its future directions. “This year, we see many teams returning to the event to join the 30th celebrations,” Mr Clue said. ‘Woody’s’ Murray to Moyne was established 30 years ago when Port Fairy local, Hester Woodrup, challenged her husband, Graham ‘Woody’ Woodrup and other local identities to ride in relay from the Murray River in Mildura to the Moyne River in Port Fairy. 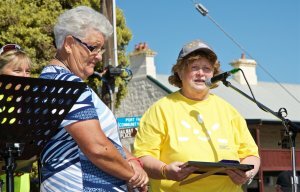 The first ride raised $10,000 for the Port Fairy hospital. Today, the event raises around $1 million annually, attracting more than 1000 riders from 150 organisations to raise funds for hospitals and health services. Mr Clue said the new management structure would enable the organising committee to operate as an incorporated body. He praised the hard work of the existing committee, noting that a meeting would be held in the coming months to outline the new structure and provide opportunity for community members to join the new management team. “We acknowledge the assistance of Moyne Health Services in securing the requirements needed for the event, and hope Murray to Moyne will move from strength to strength into the future,” Mr Clue said. 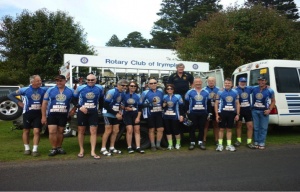 Team TR has been riding the Murray to Moyne Cycle ride since the year 2000 – that makes a total of 16 years this year. In this time we have lost one of our members “Russell Patrick” the engineer who created our wonderful Bike Rack. We thought of not riding the year he was killed but all his friends said that he would have wanted us to ride in his memory, which of course we did. TR Calibration – NATA & traceable calibration of test & measurement equipment. We now ride in our new company colours of blue and white and we are back to staff members, some customers and also family. i.e. Joan Carter (mum) Danny Carter (son) and Hayden Benwell (grandson) – How good is that!! This epitomises what Woody was all about!! The CEO of our Company has encouraged staff members interested in riding by offering to pay for their entry into the Murray to Moyne each year. The Company also covers cost of petrol and food and transport support which has been invaluable. Our staff fundraising over these years has reached over $50,000 and the Eastern Health hospitals have been extremely grateful and supportive of our efforts. happen without them – thank you to you all.